A collective memory: the memory of a group of people, passed from one generation to the next. In this case a collective memory is not generational it is something that helps volunteers create a memorable WordCamp for years to come, in many ways this already exists on the WordCamp Plan website (https://plan.wordcamp.org/). Once you have run one event it is good to be able to pass on what you have learnt to the following organisers of the same type of event in your city. Manchester for example has many good venues for after parties but many of them are not fully accessible mostly because they are in older buildings, so a list of buildings previously used is helpful. 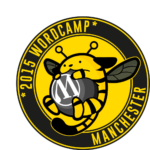 One of the things we suffered from in 2015 when organising WordCamp Manchester was that we had no collective memory of the previous years event, in order to combat this we worked on Basecamp (there are free alternatives, but failing that you could just use a Google document) in order to have a written memory for our 2016 event. We were lucky still to get help from the two main organisers of the 2015 event in terms of being able to ask questions etc. Many things will change from one year to the next, but there is no point in reinventing the wheel every year if something works well. This is something I have learnt from running events for a number of years, and is often overlooked. Plus having a good evaluation of your previous event should help you realise how to make improvements where needed. For example we are providing tea and coffee on arrival in 2016, which we failed to do in 2015, which in turn was a clear mistake geeks need their caffeine. Trying new things is also important you don’t want to get stuck in a rut doing the same kind of event over and over again, although this might appeal to some people, it is important to provide variety making things feel fresh and new, after all WordCamps are meant for every kind of WordPress user from the brand new to the intrenched technical engineer/developers, events need to appeal to the full spectrum of users and offer something new to all who attend. WordCamp is not run on faith that everything will be okay on the night, instead it is run by a group of dedicated volunteers who get help and support from the WordCamp community, and hopefully their local WordPress User Group too. A well run event only happens because its dedicated team work well together and produce an event while giving up their spare time for a number of months (the first set meeting for 2016 started at the end of April for an October event). At first progress is slow but things always begin to move at a pace once the budget is approved (first week in July for 2016) and the organisers can start arrange invoices for services/venues, call for speakers/sponsors set a schedule and make the event’s website and logo (Wapuu), not to mention ideas for swag. Back to a collective memory, organisers might consider creating an editable document online for future events, so far we have not done this apart from the budget as basecamp in many ways serves this purpose for us, but if there is a danger of loosing this facility it is important to back up the information stored while keeping it in a good accessible document for the future. Being someone who has written documentation for the past twenty years, it is important to me to highlight being clear about what you want to say, it is easy to get lost in advice, when actually for this kind of event you want to be helpful but not leading. By this I mean the voice of the current volunteers and community needs to lead instead, because if they need have ownership over their own event it will always be more successful than one lead by previous organisers and volunteers. Any summary of Notes taken from Meetings: so you can see what was discussed when. Previous event website: has schedule of actual event and other useful information on it. Join the #Slack WordPress community: (this is the UK one) you can ask questions and get help here. From this anyone should be able to gage what level of commitment is required and also what is needed day to day. On the whole I personally feel my commitment grows from 1 to 2 hours a week to around 6 hours a week closer to the event. Obviously there is the time spent at the event too, which is normally a couple of days. Time commitment however does not mean that you won’t have fun. I would not be involved if I did not enjoy the whole experience, I enjoy the WordCamp/WordPress community, this whole thing is not just a responsibility and commitment but for me is a way to give something to a community I believe in. I have to say it also allows people like me who like the less interesting aspects of event organising to do the things we love doing, yup I like doing financial planning, liaising with venues and venders. For me the event is the goal, I want the delegates to have fun, and I enjoy the achievements of working in a group to put on an amazing WordCamp.